Music is Good - The New Music Tuesday 3 for November 18, 2014. The New Music Tuesday 3 for November 18, 2014. 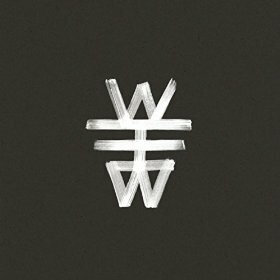 British post punk band Savages and Japanese psych rock band Bo Ningen came together for the collaborative album Words to the Blind. Both bands have an experimental bent to their individual work and Words to the Blind seems to have increased those individual tendencies exponentially. The single track album starts with about four and a half minutes of Savages’ frontwoman Jehnny Beth speaking in French and Bo Ningen’s Taigen Kawabe speaking in Japanese with only the occasional instrumental note. It’s unclear if the two are in conversation or even if the words are related. Thereafter, harsh drones and baselines kick in for about five minutes followed by two minutes of eeriness. At that point, (about 12 minutes in) the album really its stride until just before the 20 minute mark when the bands engage in a collective freakout. Just before 24 minutes a rock groove returns and Beth adds the first lyrics (English this time) since the initial French/Japanese, before closing with three minutes of noise. Words to the Blind as a whole is a fascinating listen and highly recommended for those that like a little left-of-center music now and again. At the outset I need to admit I’ve never understood the love for Ariel Pink. His brand of psychedelic freakout music has never appealed to me and I find his personality insulting at best. 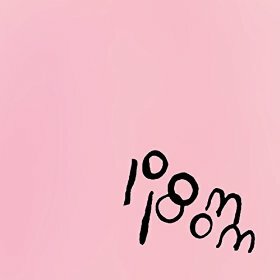 Accordingly, I listened to pom pom with a significant amount of trepidation, and a lot of the album meets my (negative) expectations. That said, there are songs here I quite like. In fact, the string from tracks 3-5 (“Four Shadows”, “Lipstick”, and “Not Enough Violence”) is among the better trio of songs I’ve heard this year, and I will be returning to them. Otherwise, if you already like Ariel Pink you’ll like this album. If you don’t, you won’t. 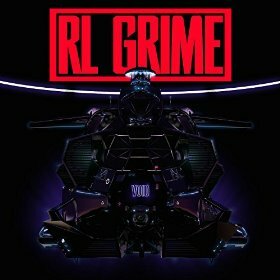 RL Grime is a electro-hip hop DJ/producer (read: trap) similar in style to guys like Shlohmo and Baauer. Void is his debut full length and features include Big Sean, How to Dress Well, and Boys Noize. I was initially surprised there weren’t more guests on the album, but Void is designed to make you dance, not for passive listening, and the lack of vocals on most tracks allows Grime to focus on that goal. The album as a whole is quite enjoyable (I was especially drawn to the drumline samples used on “Valhalla”) and it’s clear Void will indeed make people dance. « The New Music Tuesday 3 for November 11, 2014.